A male student at The University of the West Indies, Mona (UWI) is currently facing possible disciplinary measures for allegedly sexually assaulting several female students on the Irvine Hall dormitories of the campus. 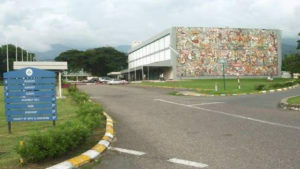 The reports came to the Jamaica Observer last week from at least three secondary sources, including two students who revealed that the victims of the alleged assaults were afraid to come forward because the accused is reportedly still living on the hall after they reported it to the Campus Registrar and campus security. When the Sunday Observer contacted the university to confirm whether or not the reports were valid, a marketing and communications officer said that the university is treating the reports as a disciplinary matter. However, one of the students who asked only to be identified as a resident of Irvine Hall, confirmed that she knew of three victims, two from the region and one Jamaican, one of whom she said returned home because of the traumatic experience. “The accusations came out during the latter part of February and the beginning of March. Several students were sexually assaulted but I can confirm three. Two regional students and one Jamaican student were sexually assaulted. The student also revealed that she knew from the victims some of the heinous acts that the accused allegedly committed against the female students. The Student Services and Development Manager of Irvine Hall and the Campus Registrar are conducting an investigation. Meanwhile, assistant commissioner of police (retired) in charge of campus security, Keith “Trinity” Gardner told the Sunday Observer that the student was taken in for questioning and removed from the hall. He also said that his investigations revealed that the accused did assault several female students but that the assaults were not of a sexual nature. “I can categorically say from my investigatio,n and speaking with the victims, that there was no case of sexual assault. There were reports of alleged assaults committed by one individual against several females. “From all the witnesses and complainants that I have interviewed, none of them disclosed any sexual assault. They disclosed that they were assaulted but it was not of a sexual nature. Statements have been collected. The complainants went to the Mona police and made reports and asserted that they did not want to proceed against the alleged offender criminally. Gardner said that he could not reveal the number of female students who were assaulted, or the details of the report. “I cannot disclose the findings of the report, and It is not true that the offender is on hall. He has since been removed to an all-male hall”, Gardner said.